This applications brings you detailed reports on site quality, accessibility and SEO scoring direclty in Content Studio. Links take you directly to the Siteimprove interface, for extensive detail on each topic. Users may also manually trigger crawling of entire site, or rechecking of a single page. Note: The application requires a subscription with Siteimprove.com to work. 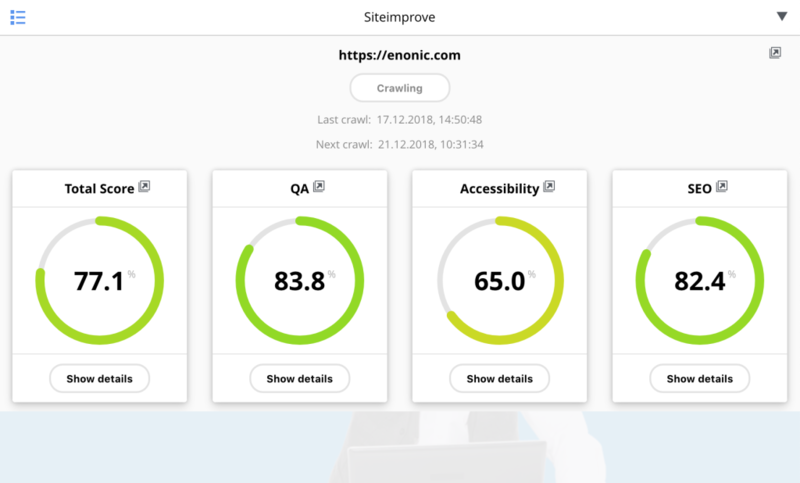 Fixed "undefined" value for "Broken links"
Get 5 days free hosted version of "Siteimprove" application for Enonic XP.